FINALS UPDATE: The Stanley Cup Finals adjusted up to 1.4, still down 26% from last year's Game 1. Meanwhile, the NBA game on TNT got a simply staggering 6.40 demo rating. We're not even in the NBA Finals yet, but this was close to last year's NBA Finals opener (6.9) and actually beat most of the games from the 2014 Finals. Memorial Day is always rough for The Bachelorette (1.5/1.6), and this year was no exception as it went way below last week's 2.0 premiere. But this was still about on par with its year-ago Memorial Day rating, when it had 500 Questions as a lead-in. The news was worse at 10/9c as third-year summer drama Mistresses (0.7) made its return to Monday and held less than half of its lead-in. It did beat last year's series low, but was two tenths below last year's premiere. Fox brought back the decaying So You Think You Can Dance (1.0), which once again took a step down from last year's 1.3 premiere. Worth noting that the network held it till the week after Memorial Day last year, so it's possible that it could hold up better than usual from here. With its first look at the new lead-in, Houdini and Doyle (0.5) went down to a new low. NBC had Game 1 of the Stanley Cup Finals (1.2/1.1/1.2), which (like everything else on broadcast) got completely overrun by the massive NBA game on TNT. This NHL rating is going to be massively below the 1.9 that opened the Finals last year. CBS snuck in its final Monday original of Person of Interest (0.8), which dipped to a new low leading out of Scorpion repeats (0.6/0.7). A week after the return of Whose Line Is It Anyway?, the CW sat it out on Memorial Day, instead opting to show timely theatrical Memorial Day (0.3/0.2). Sunday of Memorial Day weekend saw The Carmichael Show (0.4) unload one last original this season, and it somehow managed to go even lower than its 0.5 debacle last Sunday. A Carmichael repeat followed with a 0.3 at 8:30, then the network perked up a bit with a two-hour American Ninja Warrior special (0.7/1.0). Fox dominated Sunday on broadcast with three hours of NASCAR (1.3), while ABC eked out a tie for second with movie Harry Potter and the Chamber of Secrets (0.6). CBS brought up the rear with 60 Minutes (0.6), a repeat of Undercover Boss (0.6) (replacing a previously scheduled original episode) and drama repeats (0.3/0.3). The only real entertainment programming excitement earlier in the weekend came from 500 Questions, as the short-order game show unspooled another hour on Friday (0.7) and on Saturday (0.4). The Friday edition was just a tenth behind the similar episode last year, but its ultimate fate is probably more tied to how the two-hour editions on Tuesday and Wednesday do. But the highest-rated program was certainly Saturday's Game 6 of the NBA Western Conference Finals on TNT. The Warriors' win ensured a Game 7, which will add another huge wrinkle to an already busy broadcast slate tonight. FINALS UPDATE: Bones (0.9) and Modern Family (0.8) adjusted up. ABC's making a big investment in the game show space this summer, and it started with the two-hour return of 500 Questions (0.8/0.9) as a five-night bridge between the end of the regular season and the start of the NBA Finals. This was a step down from the very low 1's it got for most of its similar run last year, but ABC is at least not going to be using it as a lead-in to anything important this time around. Repeats of Modern Family (0.7) and Black-ish (0.6) rounded out the night. Fox plowed into the early summer weeks with its regular Thursday lineup of Bones (0.8) and American Grit (0.5), both of which were disappointingly down a tenth from last week when the competition was far fiercer. NBC had the return of special "Red Nose Day" (0.6/0.5), down a bit more from last year's already soft special (0.8). Strong (0.7) inched up at 8/7c. It was repeat mode to open the summer for CBS, with comedies (1.4/1.0/1.0/0.9) leading into a just-installed repeat run for Code Black (0.7). The CW also had repeats with Legends of Tomorrow (0.3) and The Flash (0.3). FINALS UPDATE: Law and Order: SVU (1.6) and Finding Nemo (1.3) adjusted up. Supernatural (0.7) adjusted down. It was a fairly anticlimactic final night of the 2015-16 season, with most of the biggest Wednesday shows already done for the season. The lighter competition was good news for Law and Order: SVU (1.5), which won the night with a surge to its best rating in a couple months. It was surrounded by Heartbeat (0.7) and Chicago PD (1.4), which were both steady. Fox will have to wait a little while longer for a non-fractional summer series result, as Wayward Pines returned for season two with a 0.9 rating, still pretty passable by Fox standards. This was just a tenth behind last year's series premiere, but season one had notable post-premiere growth that may be tough for this run to match. Its lead-in was Rosewood (0.8), which took a huge dip to a new low with no Empire lead-out. ABC ended the four-year run of Nashville with just a 0.9, up just a tenth from recent results. It actually had a fairly normal-sized lead-in as the network aired movie Finding Nemo (1.1/1.4), in preparation for the sequel Finding Dory's upcoming release. CBS' final edition of primetime The Price is Right (1.2) ticked up, but two more original hours of Criminal Minds: Beyond Borders (1.0/1.0) hit new lows once again. The CW seemed to benefit a bit from the lightened competition as Arrow (0.8) and Supernatural (0.8) both had season finale rises. FINALS UPDATE: The Voice (2.2), The Flash (1.3) and The Real O'Neals (1.1) adjusted up. It was a rough Tuesday finale night for the Monday reality staples, as Dancing with the Stars (1.5/1.6) and The Voice (2.1) were both down roughly 30% from last year. These shows have usually struggled on this second night since they cannibalize each other, but in this case they were actually at or near performance season low levels. DWTS can at least pin some of the blame on a much reduced lead-in from comedies Fresh Off the Boat (1.2) and The Real O'Neals (1.0), compared with a bonus The Bachelorette (1.9) hour last year. FOTB and O'Neals were each up a tick from last week. The Voice's lead-in was a one-hour Voice recap (1.4). Not even Gordon Ramsay may be able to save this Fox summer, as his Hotel Hell (0.8) made a soft return at 8/7c. It hadn't been seen since summer 2014, when it did almost double these ratings with big MasterChef lead-ins. It led into Coupled (0.5), which managed to match last week's awful premiere. CBS had the Big Brother-themed edition of The Price is Right (1.1) at 8/7c, leading into two more hours of Person of Interest (0.9/0.9). It was a slightly soft finale night for The Flash (1.2), but it looks like a strong bet to adjust up with both a 1.3 in the 8:30 half-hour, plus over a minute overrun into the 9:00 hour. Meanwhile, Containment (0.5) hopes to hold onto a rounded 0.5 for its entire regular season run. These numbers are current through Monday, May 23. On a busy final Sunday of the traditional regular season, AMC previewed its new drama Preacher (0.90) at 10/9c after the season finale of Fear the Walking Dead (1.88). Preacher can be a long-term AMC player if it holds anywhere close to that, of course, though it is worth noting that Into the Badlands had very similar retention of a much larger lead-in (3.15 out of 6.51) back in the fall. Preacher also has to wait two weeks for its next original episode, as it will sit out Memorial Day weekend next Sunday. ABC opened another season of The Bachelorette (2.0) in encouraging fashion, down just a tenth from last year's premiere even with a reduced lead-in from Dancing with the Stars (1.9). While Stars was down a bit more than league average from last year's performance finale, it was still the show's second-highest rating of the season. It was a discouraging performance finale night for The Voice (2.0), which actually went down from last week. The show had seemed to be improving its y2y trends in the last couple weeks, but this marked a return to the 20%+ declines that have been the norm for most of the season. And Blindspot finished its Monday 10/9c life with a fourth consecutive 1.3. CBS brought daytime institution The Price is Right (1.3) back into primetime for the first time since 2008 (at least by my count), where it will air one-hour specials on the last three days of the regular season. It mostly had mid-1's in its 2008 run, but a 1.3 in 2016 is a significantly stronger number; the synergy with Survivor probably brought in some extra audience. However, TPIR proved to be a bad lead-in for The Odd Couple, which tanked to 1.0/0.9 in its one-hour season finale. Person of Interest had another 0.9 at 10/9c. Fox closed out the Gotham season with a downtick to 1.2, and Houdini and Doyle (0.6) was also down a notch. And the CW continued its summer roll-out with the double-episode return of Whose Line Is It Anyway? (0.4/0.4), matching its 0.4 premiere in April 2015. Reign had another 0.3. 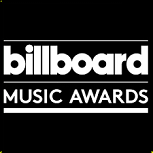 FINALS UPDATE: The Billboard Music Awards adjusted up to 3.2, down 16% from last year. It couldn't top Game of Thrones (3.96) for top program of the night and very nearly lost to the NBA game on TNT (3.11). On AMC, it was a narrowly down midseason finale for Fear the Walking Dead (1.88), leading into the pilot of Preacher (0.90) at 10/9c. Preacher can be a long-term AMC player if it holds anywhere close to that, of course, though it is worth noting that Into the Badlands had very similar retention of a much larger lead-in (3.15 out of 6.51) back in the fall. ABC beat the combined big four competition on the last Sunday of the season with the Billboard Music Awards (2.9). This show has historically not adjusted much in finals due to the West Coast edition being tape-delayed, but this year it aired live in all time zones so it may go up more. But it still looks like the show will decline year-to-year (vs. last year's 3.8) for the first time since its resurrection on ABC in 2012. It was a low-end finale night for Fox's animated comedies, with Bordertown (0.5) wrapping its run in the 7/6c hour while The Simpsons (1.0) and Family Guy (1.2) each tied season lows. And a double dose of Bob's Burgers averaged 1.0 at 8:30 and 0.9 at 9:30. Overall, these shows were not that much worse than last year's 1.3/1.1/1.3/1.1 finale night, though. The Billboard effect seemed more pronounced on the other networks, as CBS went even lower with another double dose of 60 Minutes (0.8/0.8) leading into a couple more weak originals of Undercover Boss (0.8/0.7). At this point, it seems we can lump the Boss in with other emergency late-season spackle like Beyond the Tank and Hollywood Game Night, which seemed to get much weaker in their second runs of the season. And it was even more brutal on NBC, as the comedies The Carmichael Show (0.5) and Crowded (0.4) got absolutely slaughtered. These shows were down by three more tenths from the already low results last week! Both Undercover Boss and Carmichael will actually be back next week with originals on the first Sunday of the summer, when there will be less competition but also much less overall viewing due to Memorial Day weekend. FINALS UPDATE: Shark Tank (1.3) adjusted up. Everything on the CW - The Originals (0.3) and both Masters of Illusion (0.3/0.3) adjusted down. With many of the Friday regulars already wrapped, ABC dominated the final Friday of the season with Beyond the Tank (0.8), Shark Tank (1.2) and an above-average 20/20 (1.2). Beyond the Tank actually rose in each of its last two Friday airings, after its 0.6 premiere may have done the job in assuring the comedy renewals. NBC had the two-hour season finale of Grimm (0.9), which was up a tenth from last week, and Dateline (0.9) also inched up at 10/9c. CBS had another of its I Love Lucy colorizations (0.8) at 8/7c, then another fairly poor showing from Undercover Boss (0.7) at 9/8c and a repeat of Blue Bloods (0.7) at 10/9c. The CW arguably had the night's most excitement with the double-episode return of Masters of Illusion (0.4/0.4), which was at the high end of its summer 2015 ratings. The Originals (0.4) wrapped up its season at 9/8c and was on the uptick as well. And Fox's Easy A (0.6/0.7) had the best ratings of the Friday theatricals so far this May. FINALS UPDATE: Bones (0.9) adjusted up, while The Catch adjusted down to 0.8 for the full two-hour average. Game of Silence (0.6) also adjusted down. Grey's Anatomy (2.3) impressed big once again on its finale night, rising two tenths to its highest rating since the spring return in February. But The Catch once again did not impress, with even less interest than usual in its two-hour finale. It scored just a 0.9 in the 9:00 hour with the Grey's lead-in and dropped to a new low 0.8 at 10:00. CBS fared decently on the final Thursday of the season despite no original from The Big Bang Theory, as the Big Bang repeat and Mom anchored the first two hours with 1.7 ratings. The Odd Couple held up fairly well with a 1.5 at 8:30 and 1.4 for a bonus 9:30 episode. Rush Hour, which will continue into the early summer, had another 0.9. NBC's The Blacklist (1.3) matched last week in its season finale, while lead-in dud Strong (0.6) inched down and lead-out dud Game of Silence (0.7) was even. The CW also closed up Thursday shop for the season with an even Legends of Tomorrow (0.7) and an up The 100 (0.5) (but it may be an unsafe uptick with a 0.4 in the 9:30 half-hour). Fox's Bones (0.8) and American Grit (0.6) will keep going into the summer and hope for better things as the competition departs. FINALS UPDATE: Empire (4.1), The Goldbergs (1.9) and Law and Order: SVU (1.3) all adjusted up. The CW looks to have been preempted somewhere as Arrow (0.7) and Supernatural (0.6) each went down. Broadcast's heaviest Wednesday hitters wrapped up their runs on the second-to-last Wednesday of the season. Biggest of all was the season finale Empire (4.0), which made a return to the fours for the first time since the second week of its spring run. Its lead-in Rosewood (1.4) was also on the rise, zooming to its highest rating since the Empire spring premiere night. But Rosewood will return next week to lead into the Wayward Pines return. ABC's comedies The Middle (1.6), The Goldbergs (1.8), Modern Family (2.1) and Black-ish (1.5) couldn't put together any finale heat; in fact, Goldbergs and Black-ish each inched down from last week. Nashville (0.8) is the only ABC original that will be back next week, airing its series finale with a repeat lead-in. On CBS, the days of finale spikes for Survivor (2.1) seem to be long past, but it was still just a bit below last spring's 2.3 finale. The reunion dropped to a 1.5 in the 10/9c hour, and it may adjust down even more if the opening minutes are counted in the finale rating. NBC will be back all original next week, with Law and Order: SVU (1.2) taking a hit against Fox's big finale. Heartbeat (0.7) and Chicago PD (1.4) stayed even. And the CW's steady Arrow (0.8) and Supernatural (0.7) will also be back for their finales next week. FINALS UPDATE: NCIS adjusted up to 2.6, a rather massive 8:00 post-DST number, while Chicago Fire (1.7) also inched up. Michael Weatherly's departure from NCIS was clearly the event of Tuesday night, spiking the mothership (2.5) to its second-highest rating of the season and about a half-point ahead of its usual post-DST delivery. It was even a half-point ahead of last season's finale! (Might be a good sign for his upcoming Bull, as well?) 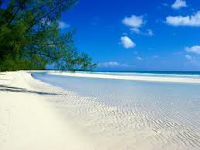 There was not much palpable heat beyond the 8/7c hour, though, as NCIS: New Orleans (1.8) was up a tenth at 9/8c while Person of Interest (1.1) was even. NBC's The Voice (1.8) stayed even against the enhanced NCIS. The season finales of Thursday-bound Chicago Med (1.6) at 9/8c and Chicago Fire (1.6) at 10/9c were also even. On ABC, Agents of SHIELD inched up to 1.0 in its two-hour season finale as it prepares to move to the 10/9c hour permanently. Earlier in the night, Fresh Off the Boat (1.1) got back to normal after last week's stinker, while The Real O'Neals stayed at 0.9. The comedies will be back next week alongside the Dancing with the Stars finale. Fox gave its news division a rare look on the broadcast network, but Megyn Kelly's Donald Trump interview (0.8) attracted little interest at 8/7c. (With 4.7 million total viewers, it's likely the oldest-skewing thing the network has aired all season.) But that was nothing compared to the total dud premiere of summer reality series Coupled (0.5) at 9/8c. Combined with Houdini and Doyle, it's already a rough start for the Fox summer. And the CW's The Flash and Containment were at 1.3/0.5 for the fourth straight week. FINALS UPDATE: The Voice (2.1) adjusted up, as did the 8:30 edition of Mike and Molly (1.7) to tie its season high. Houdini and Doyle (0.7) also gained a tenth. After its surprisingly huge penultimate week surge, Mike and Molly ended its six-year run with a downtick on series finale night, averaging a 1.4 at 8:00 (down two tenths from last week) and a 1.6 at 8:30 (down a tenth from last week). Though off of last week's highs, it's still better than what it did in its first couple Monday airings this spring. In the 9:00 hour, it was yet another 1.5 for The Big Bang Theory (R) and yet another 1.3 for The Odd Couple, while Person of Interest inched down to 0.9 at 10/9c. An even longer series run came to an end on ABC, where Castle (1.3) finished its eighth and final season with an outright season high, and pulled into a tie for the 10/9c lead with Blindspot (1.3). Castle was just a tenth behind last season's finale, easily its best trend of the season. The dramas' lead-in reality programs Dancing with the Stars (1.7/1.8) and The Voice (2.0/2.1) were close to even with last week. On Fox, Gotham (1.3) inched up to end its four-week streak at 1.2, while Houdini and Doyle remained mired at 0.6. And the CW's Jane the Virgin finished season two with a swing back up to 0.4 as it awaits its scheduling fate at the upcoming upfront. Reign also inched back up to 0.3. ABC's unconventional 7:00-9:00 Once Upon a Time finale (1.2) ended up working out OK, with the 7:00 hour at a surprisingly stout 1.3 leading into a 1.1 at 8:00. It clearly got an assist from ABC's late afternoon NBA playoff game, which ended about 40 minutes before the start of East Coast primetime. Then The Family (0.8) and Quantico (1.0) inched up on their finale nights. CBS featured the rather quiet return of Undercover Boss (0.9), temporarily back to do some very late-season filler duty on Sundays and Fridays. It had never gone lower than 1.1 in its eight episodes earlier this season. It was sandwiched by two hours of 60 Minutes (1.0) and a 10/9c repeat of NCIS (0.6). The Fox and NBC comedies will be back again next week and were mostly status quo this time, with The Carmichael Show (0.8) inching up on the heels of its renewal and Crowded staying at 0.7. Fox's The Simpsons (1.2) was up a tick, with Bob's Burgers (1.0), Family Guy (1.3) and The Last Man on Earth (Fox's only season finale of the night at 0.9) all flat. With the schedule now official, here are the Upfront Answers! FINALS UPDATE: The Amazing Race (1.1) and Grimm (0.8) adjusted up while 20/20 (0.9) adjusted down. There was no bad luck on Friday the 13th for CBS, where The Amazing Race (1.0) ticked up, then CBS closed out its Friday scripted programming for the season as Hawaii Five-0 went 1.1/1.2 for its two-hour finale. Depending on how this is counted/rounded in finals, it could be the end of Five-0's very long run of 1.1 ratings, but the show will happily take it; it was slightly ahead of last year's two-hour finale, which had a 1.1 in each hour. ABC's Beyond the Tank (0.7) mercifully got a tenth back in the second week of its brief Friday run, but Shark Tank stayed frozen on a low-end 1.2. 20/20 was flat at 1.0. NBC had a low-end Friday with Caught on Camera (0.6), the penultimate week of Grimm (0.8/0.7) and Dateline (0.8). CW's The Vampire Diaries edged back up to 0.4, its most frequent Friday rating, but The Originals stayed at 0.3. And Fox stayed in movie night mode as Jumping the Broom (0.4) did even worse than last week's movie. FINALS UPDATE: The Big Bang Theory (3.4), The Catch (1.0) and Legends of Tomorrow (0.7) adjusted up. It's not quite clear when we'll be seeing Scandal again, but it signed off for season five with a pretty solid surge to a 1.8 rating. This was the highest demo for beaten-down Scandal since the second episode of its winter return. The other two TGIT components will be back for their finales next week, but Grey's Anatomy (2.1) inched up anyway at 8/7c. At 10/9c, recently renewed The Catch (0.9) couldn't benefit from the Scandal upswing. CBS opened week three of the May sweep with its own big finale: the megahit The Big Bang Theory (3.3), which surged back from last week's season low and could end up with one of its biggest results of the spring after finals. 2 Broke Girls (1.7) also signed off for the season on a strong note at 9:30. In the middle, it was mixed news as The Odd Couple (1.6) was already below 50% TBBT retention even in the prelims, but Mom (1.8) had a big bounce-back. Both those shows will be back next week to populate the final Thursday of the season. So will Rush Hour (0.9), which inched up at 10/9c. On NBC, it was backdoor pilot night for the spin-off of The Blacklist (1.3), which narrowly outrated the previous couple episodes. Surrounding it were more rough results for Strong (0.7) and Game of Silence (0.7). Fox's Bones ticked back down to 0.8, while American Grit had another 0.6. And CW's Legends of Tomorrow (0.6) and The 100 (0.4) were even. On each night, you can see the network's average 2015-16 ratings with its most frequent occupant in three different sub-sections of the year: "fall" (premiere week through December 31), "winter" (January 1 to the beginning of Daylight Saving Time) and "spring" (the start of DST through Thursday, May 5). You can also switch from the A18-49 ratings to the True ratings, which should make the comparisons across nights and across the season a bit more fair. FINALS UPDATE: Empire (3.7) and The Goldbergs (1.9) adjusted up, while Black-ish (1.5) and Nashville (0.8) adjusted down. The CBS/NBC crime drama duel swung decisively back to NBC, with Chicago PD (1.4) and especially Law and Order: SVU (1.4) on the upswing from their stinker returns a week ago. SVU benefited significantly as CBS traded out the Criminal Minds mothership for a bonus episode of Criminal Minds: Beyond Borders, which averaged a new low 1.1 in both hours. At 8/7c, Survivor had another 2.1, while NBC's Heartbeat was back down to 0.7. In the prelims, ABC's Wednesday anchors The Middle (1.6) and Modern Family (2.1) are each eyeing new season lows, with The Goldbergs (1.8) tied for a low, while Black-ish (1.6) and Nashville (0.9) held up better. Arrow (0.8) and Supernatural (0.7) each inched back up after last week's declines. FINALS UPDATE: NCIS (2.1) and NCIS: New Orleans (1.7) adjusted up. NBC surged back into the Tuesday lead as The Voice (1.8) continued a decent third-to-last week of the season, while Chicago Med (1.6) was up a tenth and Chicago Fire matched last week's 1.6. On CBS, NCIS (2.0) made it back into the twos, but NCIS: New Orleans (1.6) and Person of Interest (1.1) were down from last Tuesday. All three shows exactly matched the year-ago evening. ABC's Fresh Off the Boat (0.9) had a rotten night, losing two tenths for the second straight episode to drop easily into new low territory. The Real O'Neals (0.9) and Agents of SHIELD (0.9) managed to match last week, while a BattleBots preview (0.6) had a Beyond the Tank-esque number at 10/9c. Fox finished out its sitcom Tuesdays for the season with the two-episode finale of New Girl (1.1 at 8:00, 1.0 at 9:00) gaining a tenth in each timeslot. The Grinder (0.6) also inched up on finale night, but Grandfathered (0.6) was back down and could only manage a tie with Grinder. The Flash (1.3) and Containment (0.5) were both even again on the CW. These numbers are current through Monday, May 9. Game of Thrones (3.70) was up a touch in week three and is now on the year-to-year upside for the first three episodes of the season! However, Silicon Valley (0.91) and Veep (0.44) each inched down again and worsened their year-to-year situations. After a couple fairly innocuous weeks to begin its return to Monday, Mike and Molly had a major surge to 1.6/1.7 in the week before the series finale. Though this basically matches the raw numbers of its winter Wednesday run, it is a more impressive showing in a post-DST world. Later in the night, The Big Bang Theory (R) (1.5) and The Odd Couple (1.3) both matched last Monday. And Person of Interest began its brief Monday 10/9c run with a new series low 1.0, but it was still not too far a cry from its 1.2 Tuesday premiere last week. There was much steadiness elsewhere. In the case of NBC's The Voice (2.1), that meant the show's best point on a year-to-year basis all season. (Its third-to-last Monday last year got just a 2.3.) Blindspot stayed at 1.3 after a downward finals adjustment. On Fox, it got even worse for Houdini and Doyle, which ticked down to 0.6 in week two. Gotham posted its fourth consecutive 1.2. ABC's Dancing with the Stars (1.7) inched down, while Castle (1.1) inched up. And after a downward adjustment in finals, Reign was down to 0.2, a number it hit just once in its Friday run earlier in the season. Jane the Virgin couldn't bounce back from last week and had another 0.3. FINALS UPDATE: The Good Wife (1.3) adjusted up to its outright second-best rating of the season. Once Upon a Time (1.1) and The Carmichael Show (0.7) adjusted down. CBS wrapped up the seven-year run of ratings-challenged, critically-adored The Good Wife (1.2). It couldn't quite get to the 1.4 season high, which had NFL playoff help, but it tied for the second-biggest rating of the season and was up two tenths from its usual late-spring ratings. (It also tied last season's 1.2 finale.) But the TGW heat didn't extend to the other CBS season finales; Madam Secretary was stuck at 1.0 yet again, while Elementary which was actually back down to 0.7 at 10/9c. If there was ever any chance for The Family to make a meaningful final pre-upfront impression, it didn't: instead, the show was back down to 0.7 in its penultimate week, while its lead-in Once Upon a Time stayed at 1.2 yet again. Quantico (0.9) also inched downward at 10/9c. NBC tried to squeeze another original-worthy rating out of Little Big Shots with "season finale" promotion for what was essentially a clip show (1.3). But it was closer to the repeat rating from two weeks ago than to any of the actual original ratings. And that meant another weak night for lead-out comedies The Carmichael Show (0.8) and Crowded (0.7). Surrounding the entertainment programming was Dateline, with a low-rated new edition called "On Assignment" at 7/6c (0.5). But the Dateline proper (1.0) continued to do well at 10/9c. And the Fox comedies were back from a week off and mostly down a tenth from last time: Bordertown (0.4), The Simpsons (R) (0.6), The Simpsons (1.1), Bob's Burgers (1.0), Family Guy (1.3) and The Last Man on Earth (0.9). ABC's Friday comedies may be able to breathe a sigh of relief, as Beyond the Tank (0.6) arrived on Friday with a thud. It was only able to match the final episode of its terrible Tuesday run, and there was also little evidence of any continued Shark Tank synergy boost; that show fell to match its Friday season low at 1.2. 20/20 (1.0) was also on the downswing. CBS wrapped up another rock-solid season of Blue Bloods (1.1) with a somewhat surprisingly low-end result for the finale. Earlier in the night, The Amazing Race (0.9) stayed fractional in the prelims, while Hawaii Five-0 made it nine in a row at 1.1. NBC preempted Grimm for a week to air an enhanced 90-minute repeat (including new footage) of the Adele special that had a sensational 3.0 rating in December. But this time, it averaged just a 0.7. The CW's vampire shows The Vampire Diaries (0.3) and The Originals (0.3) each ticked down. And with its original reserves exhausted, Fox went into movie mode with "Think Like a Man" (0.5). FINALS UPDATE: Though it had a long way to go in the un-roundeds, The Big Bang Theory (3.0) still managed an upward adjustment to stay out of the rounded twos. However, Mom (1.5) went down a tenth to fall behind the two comedies sandwiching it, and Rush Hour (0.8) also went down to a new low. CBS' The Big Bang Theory (2.9) gave back last week's promising uptick and then some, tumbling by a half point. It usually adjusts up considerably, so it may find its way back into threes after finals, but a new season low is highly probable. The Odd Couple (1.6) and Mom (1.6) also gave up a tenth (and have to hope it's not more after finals), while 2 Broke Girls (1.6) and Rush Hour (0.9) stayed even. On ABC, Scandal (1.5) and The Catch (0.9) were each back down by a tenth, but Grey's Anatomy (2.0) clung to the twos once again. NBC saw Strong (0.6) give up a tenth while Game of Silence (0.7) got one back. The Blacklist was frozen at 1.2. Bones inched back up to 0.9 at 8/7c for Fox, but American Grit (0.6) lost another precious tenth. And Legends of Tomorrow (0.6) inched down on the CW, while The 100 had yet another 0.4. Welcome to the Upfront Power Rankings! This is the SHOW-centric half of the upfront preview, digging into the merits of individual shows by network. Next week come the Upfront Questions, the SCHEDULE-centric look ahead to upfront week. The following week, the schedules come out, and with them come the Upfront Answers. FINALS UPDATE: NBC's night got a little less brutal after Heartbeat (0.8) and Chicago PD (1.3) each adjusted up. Yet again, Nashville (0.8) adjusted down. The first Wednesday of May sweeps was the first Wednesday in quite a long time with all the networks at full original strength. That was really bad news for NBC, as Law and Order: SVU (1.1) and Chicago PD (1.2) got throttled in their returns from over a month off. Both shows hit new season lows by multiple tenths. Heartbeat led off with another 0.7. CBS' Criminal Minds (1.8) had a season finale uptick (matching last season's finale), while Survivor (2.1) did well again at 8/7c. At 10/9c was Criminal Minds: Beyond Borders (1.2), which had its lowest number yet with an original Minds lead-in... but it was also the first time since very early in its run that it had to contend with PD in the 10:00 hour. It should be interesting to see how this CBS/NBC dynamic goes next week with two hours of Beyond Borders. ABC's Mother's Day comedy episodes of The Middle (1.7), The Goldbergs (1.9), Modern Family (2.2) and Black-ish (1.6) were mostly very steady, while Nashville preliminarily inched up to 0.9 but is always in danger of negative adjustment. Fox's Rosewood (1.2) and Empire (3.6) were each down just a touch. And it was a low-end CW night with Arrow (0.7) and Supernatural (0.6) both on the downswing. FINALS UPDATE: The Flash (1.3) adjusted up to match last week, while Beyond the Tank (0.6) pulled off an uptick in its final Tuesday episode. The Real O'Neals (0.9) adjusted down to its first fractional number with an original lead-in. CBS' Person of Interest (1.2) returned to run through its 13-episode final season, mostly on Tuesdays but also with second episodes on Mondays for the rest of May. It was a tenth above the usual late-season Limitless rating in the hour, but significantly behind the normal PoI ratings from last season (though up a notch from the big dip it took on season finale night). It got some help from the NCIS twins, as New Orleans (1.8) was on the upswing at 9/8c while NCIS at least matched the 1.9 from its last original. The return of CBS originals was bad news for NBC, where The Voice (1.6) and Chicago Med (1.5) each took hefty declines and fell well behind CBS. Chicago Fire (1.6) declined much less heftily against PoI at 10/9c. On Fox, bubble comedies Grandfathered (0.7) and The Grinder (0.5) were original on the same night for the first time in over two months. There has been buzz that studio ownership and acclaim may benefit Grinder, but Grandfathered tried to make its (relative) ratings case by inching up from last week and outrating Grinder by two tenths. Both shows led out of original episodes of New Girl (1.0 at 8:00/0.9 at 9:00). On ABC, Fresh Off the Boat (1.1) came back to earth after last week's post-DST high, but The Real O'Neals managed to hang at 1.0 yet again. Agents of SHIELD (0.9) continued its oscillation between 0.9 and 1.0, while a miserable Tuesday run finally ended for Beyond the Tank (0.5). It'll try to improve in potentially friendlier territory starting on Friday. Week three of the CW's Containment didn't have to wait till finals for the 0.5 this time, though it looks like a decent bet to hang onto the 0.5 since it had a 0.6 in the 9:00 half-hour. The Flash preliminarily inched down to 1.2. These numbers are current through Monday, May 2. The week after Scorpion's finale, CBS made a return to its historic two-hour Monday comedy block. It was a fairly significant night for bubble series The Odd Couple (1.3), airing on Monday for the first time. And it did passably enough, dropping by two tenths from its The Big Bang Theory repeat (1.5) lead-in. This is markedly below what it's been doing on Thursday, but that was to be expected. Meanwhile, Mike and Molly had a 1.3/1.4 for two originals in the 8/7c hour. And despite a comedy lead-in, the season finale of NCIS: Los Angeles (1.3) inched up to the high end of its spring results. 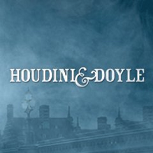 Fox got a head start on summer with the dud premiere of co-production Houdini & Doyle (0.7), which barely managed half of recent Lucifer numbers. It had a steady 1.2 lead-in from Gotham. Dancing with the Stars (1.7/1.8) was close to even while The Voice (2.1) was on the upswing. 10/9c dramas Castle (1.0) and Blindspot (1.3) each inched down. And the CW had another 0.3 from Reign, while Jane the Virgin preliminarily ticked down to join it at 0.3. FINALS UPDATE: Little Big Shots (1.7) adjusted up to dodge a new low, but The Carmichael Show (0.9) and Crowded (0.7) both adjusted down to their new lowest ratings on an original LBS night. 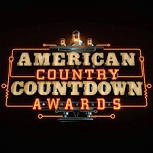 The American Country Countdown Awards also adjusted down to 0.9. On HBO, Game of Thrones (3.67), Silicon Valley (0.92) and Veep (0.47) were all down in the vicinity of 10% from last week... but these were smaller drops than they took last year, so all three year-to-year trends improved. (Game actually bested the 3.57 for episode two of last season.) And AMC's Fear the Walking Dead (2.15) showed some much-welcome steadiness, growing by three hundredths vs. last week. The return of NBC's Little Big Shots (1.6) is eyeing a new series low, but may have a shot to adjust up in finals. Lead-out comedies The Carmichael Show (1.0) and Crowded (0.8) both rebounded from last week when LBS was a repeat, but only got back to the low end of their results with original lead-ins. Dateline (1.0) was also up a tenth at 10/9c. It was a very consistent night for dramas, as ABC's Once Upon a Time (1.2), The Family (0.8) and Quantico (1.0) have all had those exact scores for three or four weeks now. CBS' Madam Secretary (1.0) and penultimate episode of The Good Wife (1.0) also stayed frozen, while Elementary (0.8) was up a tick at 10/9c. And Fox had the latest edition of its homemade country music awards show, the American Country Countdown Awards (0.8/1.1). After a huge dip to 0.9 in its last airing in December 2014, the move to May seems to have at least kept it steady at that level... but it still really pales in comparison to the likes of the CMAs and ACMs.